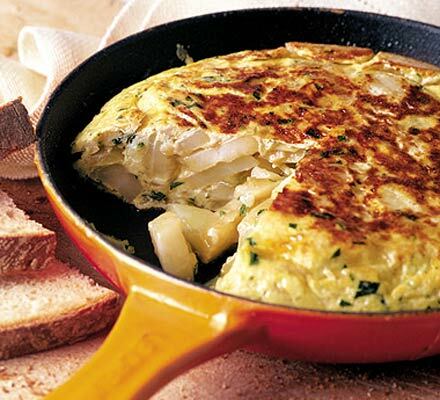 Cover the pan with a plate and flip over the omellete onto the plate. Bring back the pan to heat and slide the omellete turned over to cook other side. You have to do this step carefully so that the omellete does not fall off and you don't get a burn.